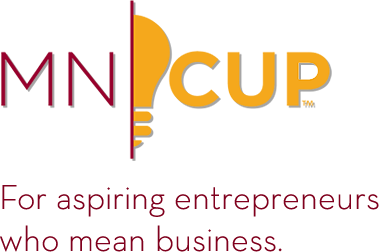 Last week, I attended the second annual Women in Entrepreneurship Conference hosted by the MN Cup. I found the panel on financing to be the most inspiring. There were two panelists who shared their path to fundraising with the group. Maia Haag, the co-founder and president of I See Me!, self-funded her company through bank loans and a small inheritance that she had received. Katie Jasper, the co-founder and CEO of Prescribe Nutrition, used crowdfunding (indieagogo.com) to raise $40,000. The other panelist, Chris Mahai, a partner at Aveus, shared insights into her experience within the angel investment community. Be purposeful in your decision to raise funds. Make sure your company is ready for outside investors. Be certain that you have a proven concept before you take too much money from investors. Be tenacious. Whether you are pursuing bank financing, crowdfunding, or seed/angel investments, dive into it. Once you decide that financing is necessary, be ready to work to get others to invest. Be honest with yourself and with others. Be realistic and don’t overpromise to investors, especially if they are family members. Seek good advice. Find mentors that will be brutally honest with you. Ann Winblad, the keynote speaker and the co-founder and managing director of Hummer Winblad Venture Partners, reiterated the importance of finding mentors that will support and challenge you. She noted that if you find a mentor that is going to be brutally honest with you, it’s better for them to be brutally honest in the beginning of your capital raising process. As you consider fundraising options, know what terms are standard for raising funds in Minnesota. Avid readers of the entreVIEW blog may know that Gray Plant Mooty’s Entrepreneurial Services Group has published two reports that analyze seed and angel capital that has been raised by Minnesota start-up and early-stage companies. Information like this can be extremely helpful to determine what terms investors expect to receive in a financing deal. Click here to review the report that covers financings in the first half of 2014. Of course, you’re always welcome to contact your friendly, neighborhood member of the Gray Plant Mooty Entrepreneurial Services Group. We’re always glad to share our knowledge and help out however we can. In the meantime, happy capital raising!